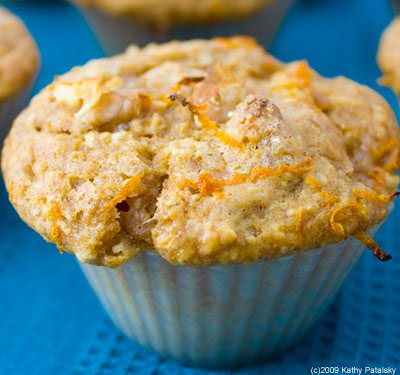 Orange Glow Muffins. Citrus. Spicy Ginger. Walnut. Rainy Thursday. My mom was on her way over for a visit. I had a half hour to spare before she arrived, so what do I do? Make muffins! 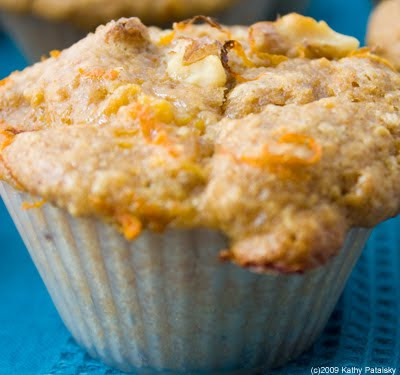 I love making fresh muffins when I have guests stop by. It's a great excuse to experiment with a new recipe. Plus, my friends and family love being official taste-tester's for my new, yet-to-be-posted recipes. 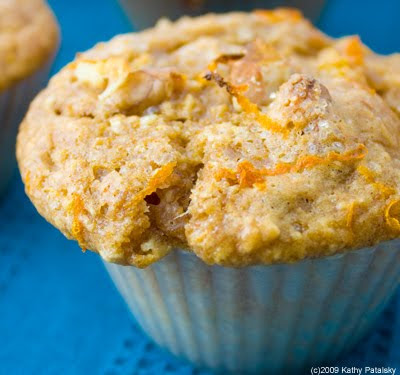 Muffins only take about 15 minutes to prep. 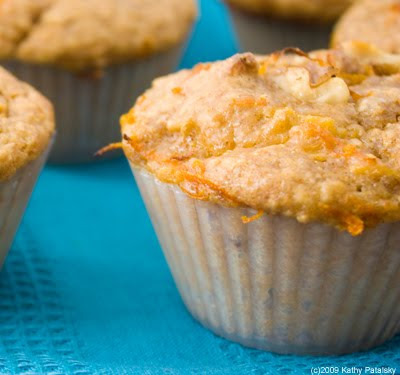 And what's cozier than a steamy, hot-from-the-oven vegan muffin? And I love it when my non-vegan guests say, "Wait, so these are vegan? Yum!" To read more about Perk-Your-Body-Up foods, like ginger and cayenne, click here for my post. fresh orange zest, walnut bits and a dash of raw sugar. 1. Pre-heat oven to 375 degrees. Prep: zest your large orange. Set aside. 2. 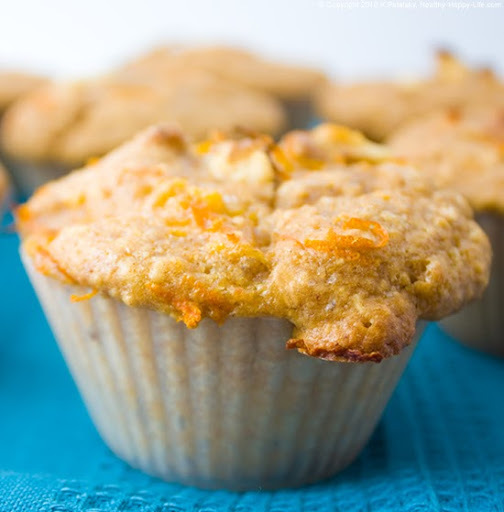 Combine all dry ingredients in a large mixing bowl: muffin mix (or dry ingredient subs in notes section), orange peel, cayenne, cinnamon. Mix well. 3. Add liquids: oil, soy milk, butternut squash, orange juice, chai tea. Stir until well blended, but do not over-stir your muffin mix. You want it to stay light and fluffy. 4. Grate in your fresh ginger, fold into mix. 5. 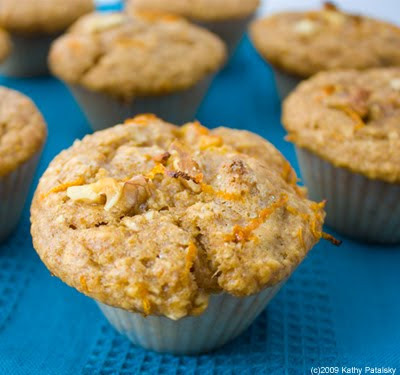 Fold in walnuts, peeled/diced orange cubes, and fresh orange zest. Be sure to try and remove all the orange seeds from the orange cubes, orange seeds have a very bitter taste. 6. 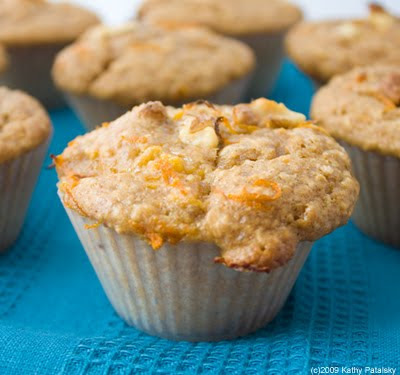 Fill your muffin cups. 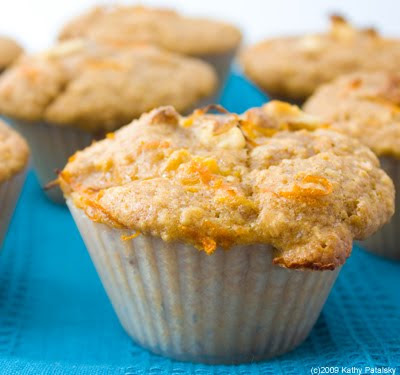 Add a garnish of fresh orange zest, walnut bits and a sprinkle of raw sugar to the top of each muffin. 7. Bake at 375 degrees for 15-20 minutes, or until top is browned and has a nice crisp shiny top. Allow to cool for 15 minutes before removing from tin. 8. Serve with Chai or Earl Grey Tea. Delicious! * Spice Appeal: Less spicy, remove cayenne. More spicy, add more cayenne and/or fresh ginger.